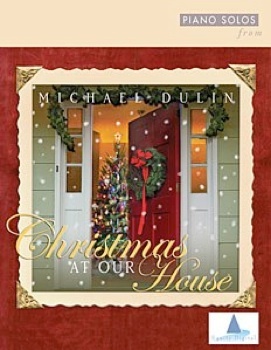 2015 / Equity Digital Music, Inc.
My Beloved is the companion sheet music book to Michael Dulin’s 2015 album by the same name. All twelve piano solos from the recording are included, transcribed by Dulin himself; I proofed and edited. 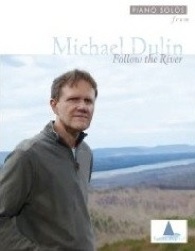 Anyone familiar with Michael Dulin’s music knows that he is one of the best pianists on the planet, so although these pieces are easier than some of his other sheet music, this is far from beginner material! More advanced pianists will find a treasure trove of music to learn and enjoy, but not many will be able to just sit down and play this music without some practice. 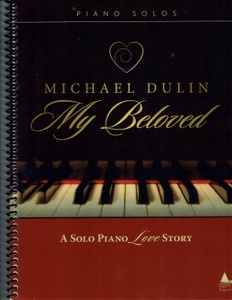 Subtitled “A Solo Piano Love Story,” the collection overflows with passionate love songs Dulin composed for his wife, Jan. Some are playful and lighthearted and others are more serious and reflective. It’s a wonderful collection that expresses a range of emotions and musical styles. The book is spiral bound and beautifully laid-out on bright white paper with clean, crisp notation. Suggested pedalings are included as are metronome settings and performance notes. There is a nice bio on the last page and the front and back covers are full color. It’s a beautiful book that should provide many years of playing enjoyment. 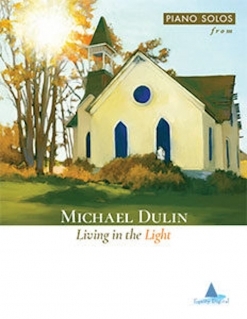 It is available from www.michaeldulin.com in both printed and download forms; single songs are also available for download. Highly recommended!